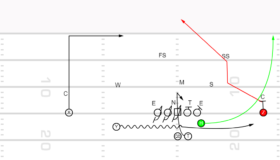 In the Jet Sweep PAP Post Wheel, double run fakes cause the defense to step up to allow your receivers to get behind them. 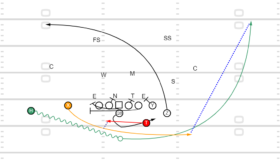 The combination of the run fakes and the QB looking to the post first will allow H to be wide open on the wheel. 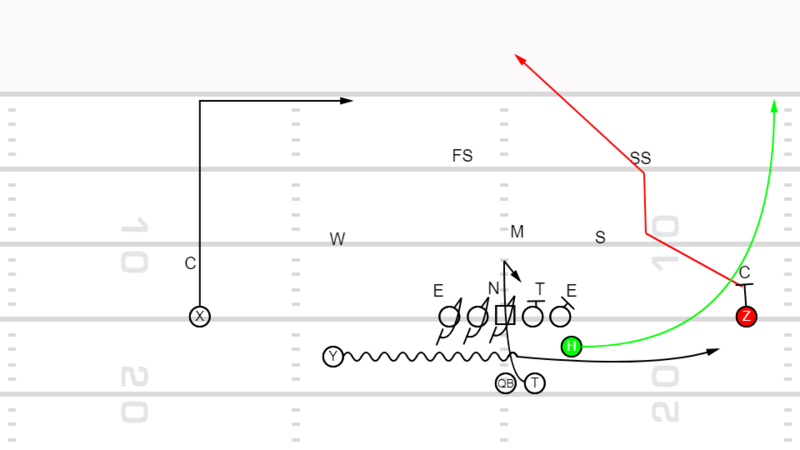 If the defense recovers quickly the QB has the swing or the check down to T.
T Fake taking hand off get through line the find open area for check down. 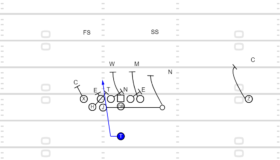 Y Jet Sweep motion make a good fake then run swing for check down. 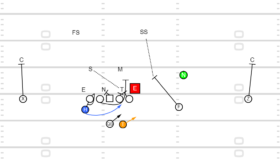 Settle before getting to close to sideline. Z Stalk for 2 steps get inside and run Post.